A female was assaulted by two other females in broad daylight. The incident took place yesterday in a normally busy street. 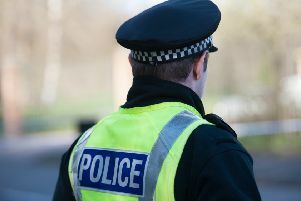 Anyone who spotted the assault taking place outside the Dobbie Hall in Main Street, Stenhousemuir around 3pm is asked to call police on 101. Informatin can also be given in confidence on Crimestoppers on 0800 555 111.